The Harcourts Holmwood St Albans Office is located in the heart of Edgeware Village. Our staff of 20 is made up of Licensed Real Estate Agents, Property Management, Buyers Agents, Personal Assistants, Admin Staff and our Sales Manager, Branch Owner Jarod Rolton. Holmwood St Albans always has an agent on duty in the office, so if you are looking to buy or sell a property feel free to pop in, phone or email and one of our qualified property specialists will be able to help you. Dedicated To Your Success For Jarod Rolton, entry into the real estate industry was both an incredibly natural career step and a large leap into the unknown. Understanding the high expectations placed on him and delivering above and beyond was a focus from the start. It’s a dedication to the work that provided immediate results, with impressive award winning success from the beginning. Jarod is able to draw from his industry experience, along with his dynamic mix of skill and enthusiasm which receives acclaim from both clients and industry commentators alike. His ability to listen carefully and act accordingly is a talent that means the client’s wishes are carefully followed. High quality service often comes down to simple, effective communication. For Jarod, it’s non-negotiable. Jarod understands that a successful consultant needs to take control of any situation with decisive confidence, and the only way to do this is to put in the hard work before any challenge or opportunity presents itself. Bev Griffiths believes the key to a good real estate transaction is minimising stress. "My strengths lie in guiding people through the process of selling, and making the entire experience as stress free and enjoyable as it can be". 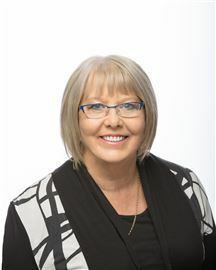 Hardworking, confident and results focused, Bev is the type of person whom homeowners trust to fulfil their real estate goals. She describes working with her clients as a rewarding and fulfilling endeavour. Bev also thrives on constant communication; an attribute her many repeat customers certainly appreciate. "Keeping my clients informed at all times and explaining what is happening is my most important priority". Bev's approach to her chosen career has also been recognised by her many successes. She is a proud member of the multi-million dollar sales club, and has regularly taken out the top spot for best sales consultant in her office. If you seek a sincere, driven and successful sales consultant, make contatct with Bev Griffiths today. A DESIRE TO SUCCEED I have enjoyed a career in sales for the past 30 years where I have used my abilities to move up from sales in to management positions, by understanding that every person you deal with deserves the right to be heard, listened to and understood. Always realising that my job was not only to sell but to make sure that the experience was as enjoyable and stress free as possible for the clients I worked with. Having always been the type of person who enjoyed talking to people I have loved my years selling and utilising my skill sets to achieve the best results, communication is to me the number one attribute any good salesperson should have. My wife who I have been with for the past 28 years has been involved in the real estate industry herself for the past 20 years as an office administrator and was the driving force behind me making the decision to make real estate the next step in my career, her belief that I was wasting my talents as a “people person” as she calls it and my ability to achieve the goals that I set myself “a desire to succeed” is the main reason that I have chosen to become a real estate agent. My commitment to my clients is to understand that any client, who gives me an opportunity to work with them on their next real estate purchase or sale, is showing confidence in me. I in return, must show them the respect, work ethic and desire to succeed that confidence deserves. It's The Results That Count With a background in marketing, Bridget brings a wealth of advertising knowledge to her real estate clients. 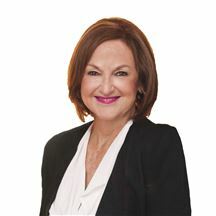 Prior to working in real estate, Bridget worked with one of New Zealand’s top media buying agencies in Christchurch, which has provided her with experience in the planning and buying of all forms of media. Bridget knows how to achieve maximum results from an advertising budget. Bridget loves a good challenge, and in the competitive world of real estate you need the drive to provide the results your clients are looking for. Bridget is a true professional, she is someone you can rely on, is thorough and trustworthy and will always offer that all important smile. Whether you are purchasing your first home, adding to your investment portfolio or selling your family home of 30 years, working with the right agent is very important. Bridget loves what she does and knows that when people put their trust in you to sell or find a property, it is truly a privilege. Success: A 360-Degree Perspective After 32 successful years in the real estate industry, with awards and recognition at a national level, an astonishing level of networking and capability and an ongoing delivery of supreme results, Jenni Rolton continues to push herself to even greater heights for her clients. A popular refrain those who have spent time with Jenni will have heard is “results, not promises.” Her focus on succeeding for her clients is not obstructed by flash talk and empty promises. This has delivered a reputation as a highly ethical and professional consultant – and it’s backed by the amount of referrals and repeat business Jenni receives. While this approach has been well utilised for 15 years in a management role, it’s the move away from the time-intensive work of daily office administration that has Jenni excited. That’s because she understands her clients expect the individual, responsive and professional service that only she can provide. Now, she’s as excited about the opportunities available in real estate today as she was 32years ago – and ready to go the extra mile for clients. Invaluable experience, incredible energy, focused vision – that’s the complete picture for real estate service. Top salesperson for Harcourts Holmwood Merivale office 2009 - 2013. Top Salesperson Holmwood St Albans 2014 - 2016; Harcourts Canterbury Top 20 2009 - 2016. Peter & Kathryn Hampton – A Results Driven Team In real estate, the general understanding is that effective selling depends on a few crucial variables. Typically, these variables are identified as marketing, negotiation, communication and teamwork. Time after time the best consultants demonstrate the importance of these key qualities. Peter & Kathryn Hampton are illustrative of this mantra, much of Peter’s life has been in marketing and his knowledge of attracting business has been honed in perhaps the most competitive environment – public media. Now joined by his partner Kathryn, a formidable real estate partnership is being forged. Kathryn besides her involvement in television, has a wide range of personable skills to ensure communication is of the highest order. Collectively, Peter and Kathryn share a passion for real estate which is perhaps best evidenced in their own long commitment to building a property portfolio. Working as a team they employ their collective skills in marketing, communication to achieve the very best results and when it becomes to the critical parts of the process they have demonstrated their skills as successful negotiators. A family focussed couple, Kathryn and Peter Hampton understand both the pressures sellers experience as well as their empathy for the needs – and at times the frustrations, of buyers. Whether it is their involvement in their children’s schooling, Peter’s passion for tennis and coaching or Kathryn’s eye for detail, this is a couple that enjoy working with people and helping them achieve the best outcome. As a vital part of the Harcourts Holmwood St Albans office, Peter and Kathryn relish achieving results and delight in celebrating the success of their clients – give them a call today, they would really like to hear from you. Well Travelled Expertise. After assisting many people finance their homes and realise new opportunities, Harcourts Scholarship recipient Michael Faulkner decided he wanted a new perspective in the process. 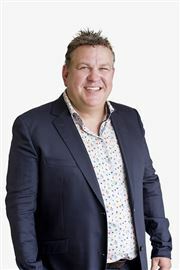 The professional skills he developed working for some of Australasia's most visible and established companies made the transition into real estate seamless. 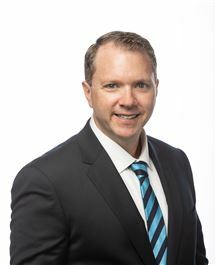 Having worked as a banking consultant for Westpac and an insurance agent for State, Michael is a skilled negotiator and is well versed in handling any 'finer print' matters. "I've always had an interest in real estate", Michael says, "Whether it's sharing the excitement that comes with buying a first home or assisting someone through a life changing stage of their lives." Michael worked as a flight attendant at Virgin Airlines for several years, an experience that played an important role in forming his impeccable customer service skills. People who have dealt with Michael say he is professional, well organised and honest, that his approach to the work is systematic and that he is adaptable, dynamic and intuitive in his decision-making. "I have found working in these industries to be both personally rewarding and fulfilling", says Michael, "I set myself very high standards and I have a commitment to excellence". Michael is a brilliant communicator who works diligently to ensure his clients stay informed and up-to-date. Michael is able to take the stress out of the process because he knows it from a range of perspectives: homeowner, investor, insurer and financier. Michael is a professional and his desire to succeed for his clients is rarely matched. Michael promises results and delivers them. He might even be your opportunity to succeed within the property market. Get in contact with Michael today if you need any advice and see how he can help. There is nothing to rival experience. After 25 years in real estate, Paul Costigan has proven he has what it takes to succeed. He succinctly understands a range of market conditions, and is proud of his honest and forthright approach to any situation. I call a spade a spade. At no stage do I stop being honest with a client. Paul is also proud of the success he has enjoyed in his time as a real estate consultant. He has won numerous awards, including regular accomplishments as the top lister in his office and as the number one salesperson, and this sees Paul enjoy most of his business from referrals. I strongly believe in working hard for my clients, and I take great satisfaction in getting the right result for each and every customer. If you want real results, from a consultant who has stood the test of time, phone Paul Costigan today. Challenge the Status Quo Real Estate was an obvious next step in Rebecca’s career having over 10 years’ experience in customer facing roles throughout Ireland, Australia and New Zealand. Rebecca’s previous role as a project coordinator involved in the repair and rebuild of earthquake damaged homes has paved the way to an in-depth understanding of EQC and insurance claims as well as being well-versed in technical and construction terminology. You will immediately feel at ease around Rebecca’s warm and friendly demeanour but rest assured, Rebecca is known to go above and beyond for every client and will not only work hard to bring you the best results for your biggest asset but ensure you enjoy the experience every step of the way. Through extensive market research, a scrupulous work ethic and an energetic and proactive approach to real estate, Rebecca will use all available resources to affect the best possible result for her clients. For Rebecca, communication is the key to a healthy working relationship. Having personally been involved in buying, selling and renovating, Rebecca knows the process and will be a welcome asset to anyone. Call her today to get your real estate journey off to the best start. Introducing Tracy Denny (nee Prescott) ENJOY THE EXPERIENCE AS MUCH AS THE RESULTS Tracy Denny’s impressive sales and marketing background includes working with iconic brands Nike, Coca Cola and Lion Nathan, and owning a number of successful businesses in Christchurch and Dunedin over the years. However, according to Tracy, what really inspires her is the opportunity to turn everyday dreams into reality. 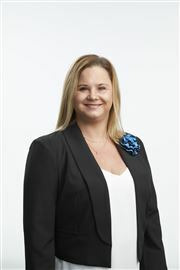 A graduate of the coveted Harcourts Real Estate Scholarship, these days Tracy gets to do exactly that, applying the benefit of her talent, skills and extensive experience to the advantage of her numerous satisfied real estate clients. As well as her well-honed business skills and eye for detail, Tracy delivers exceptional customer service and key insight. She has energy, integrity and a warm and friendly approach that forms the lasting relationships that ultimately lead to rewarding outcomes. What’s more, as a resident of Christchurch for 25 years, and with two school-age sons, Tracy is perfectly placed to identify the considerations that clients and families face when choosing their new home. Work with Tracy and you too will enjoy outstanding results and the very best real estate experience. It Matters When It’s You Regan Austin has a simple philosophy about the people he works for. Each person matters, everybody he works for must be respected and good communication is a two-way street. Regan is well versed in the importance of positive client relationships, with over two decades experience working in what many would term the most demanding of retail management, the supermarket industry, he understands that everything matters. It is that uncanny eye for detail, that ‘going those steps further than the competition that marks him out as an achiever'. A vital part of Regan's business philosophy is his recognition of doing what he says he will do and achieving that outcome within the agreed time-frame. So rather than some chance promise of delivering requested information or agreements, Regan will make sure things happen on time, every-time. Regan has the maturity and business experience to understand the importance of what commerce is about. Business owner, manager and married family man Regan appreciates the value of being well organised, of communicating clearly and delivering on deadlines. If you are wanting to work with a person who takes you seriously and has a powerful work ethic, then give Regan Austin a call today. What Is This View Worth? Now Priced $40k Below R V! This Place Has Lots Of Space! Beat The Bank - Price Reduced! One Gone.... One To Go!! $20k Price Drop To Sell Today! Price Drop - Must Be Sold! Standalone And In The Zones! Priced Below R V To Sell!! Plans On Hold Until Sold!!! "As Is, Where Is" Opportunity! Moving On So You Can Move In! Rangiora ... Here We Come! Plans On HOLD Until Sold! Totally Liveable - "As Is"
Affordable " As Is, Where Is"
As Is... Or Is It? "As Is, Where Is" - Must Go! Vacant Land - Must Be Sold! Great First Or Family Home! Huge Garage & Huge Section! Dreaming Of A 'Block House'? Time To Fulfil Their Dream! 2 Properties On 1 Title! Make an Offer, Must be Sold!